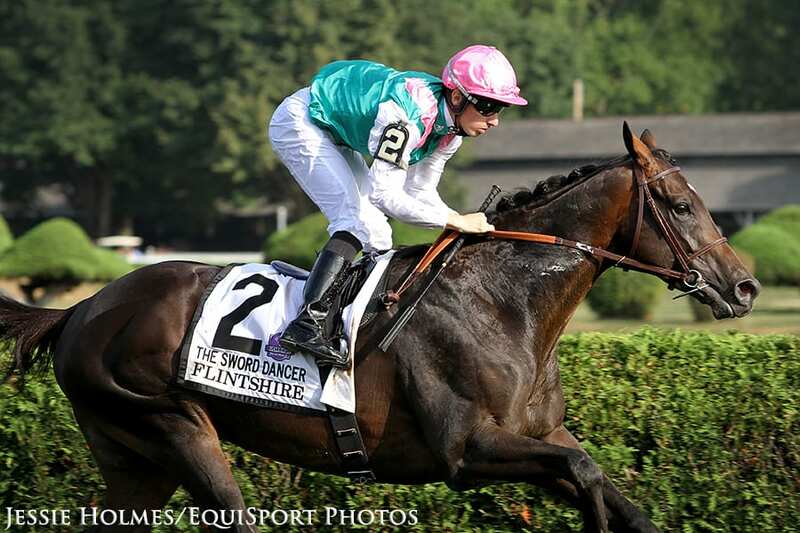 Flintshire, seen winning the G1 Sword Dancer at Saratoga in 2015. Multiple Group/Grade 1 winner Flintshire will soon be transferred to trainer Chad Brown's barn and will race in North America this season. Thoroughbred Racing Commentary reports that the 6-year-old son of Dansili will make the move from trainer Andre Fabre to Brown sometime within the next few weeks. “The move is for a number of reasons,” Teddy Grimthorpe, Racing Manager for Juddmonte owner Prince Khalid Abdullah told TRC. This entry was posted in Racing and tagged andre fabre, Chad Brown, dansili, flintshire, Horse Racing, juddmonte farm, thoroughbred by Paulick Report Staff. Bookmark the permalink.